This is a new monthly feature on EWZ that simply features a NYC establishment that I like right now. Not a full blown post as I will spare you the unnecessary details and jokes and simply say GO, and why. And yes, I’m changing the meaning of the conventional usage of “Flavor of the Month” and making it my own. 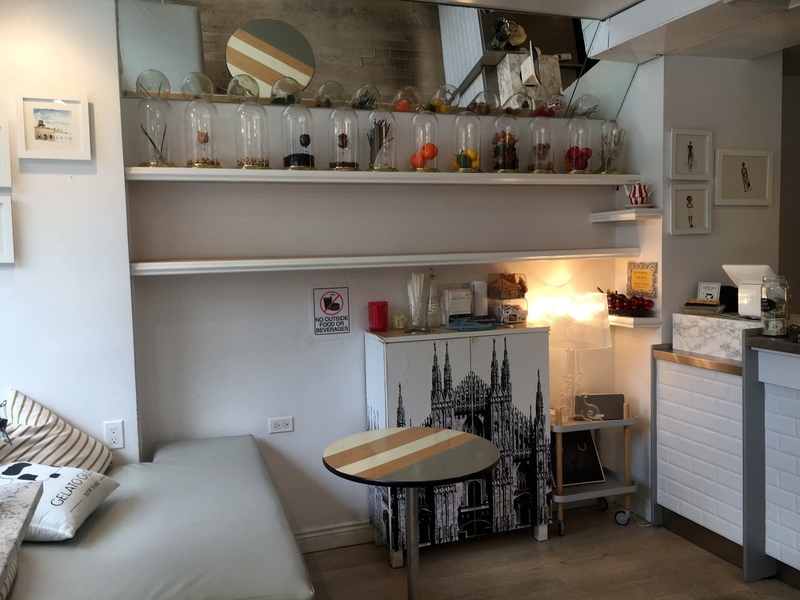 Gelato Giusto is not just about gelato. 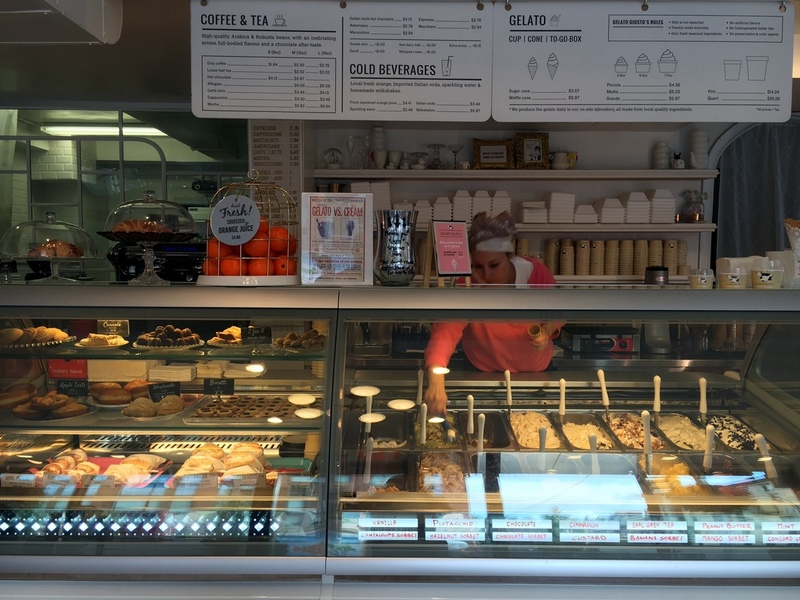 Various confectioneries, sandwiches, great coffee, freshly squeezed orange juice are offered as well. 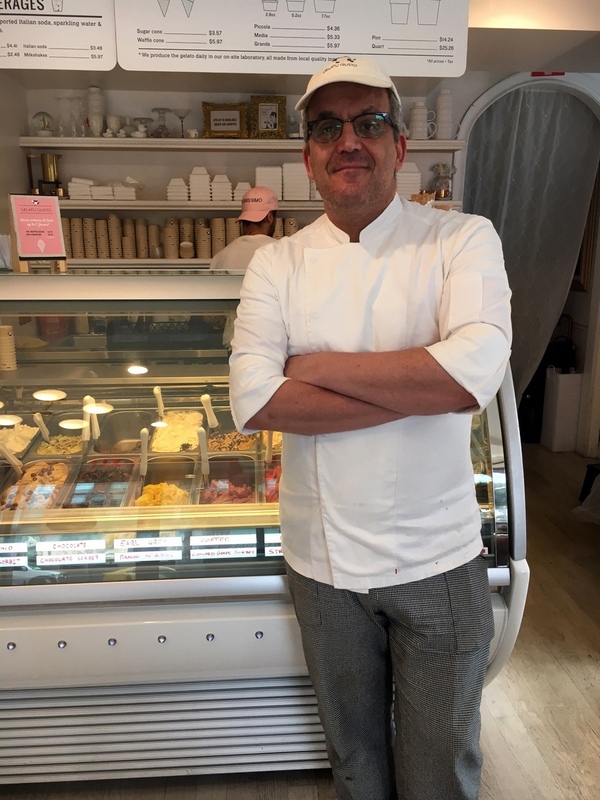 Lorenzo’s goal is to mimic a typical Milanese quick stop but also adjust to the neighborhood. If this place was in the middle of Times Square it would have been very different most likely, but smack in the middle of Chelsea, an emphasis on the healthier side of things is necessary. Which is why half of his small offerings are sorbets which are given the same exact attention as the gelato. 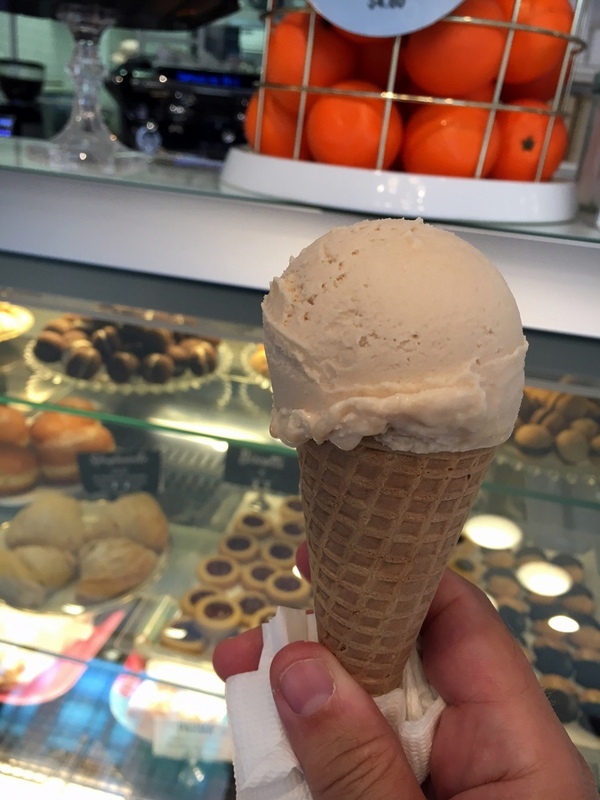 In fact when you taste his hazelnut (from Piedmont) sorbet, the first thing that comes to mind is “is this a mistake, this tastes like gelato”. With the same kind of richness he narrows the gap. 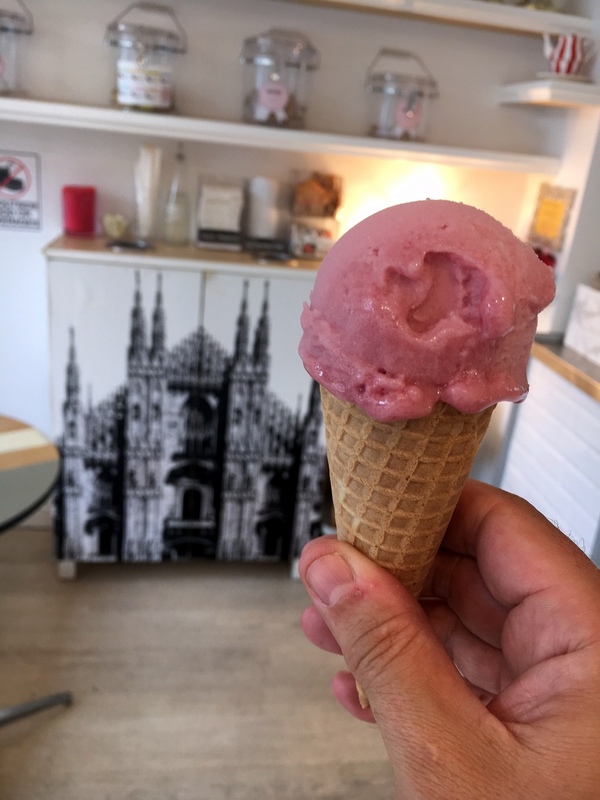 As with the super refreshing concord grape sorbet, and the sick Sicilian pistachio gelato, the ingredients talk loud and clear. 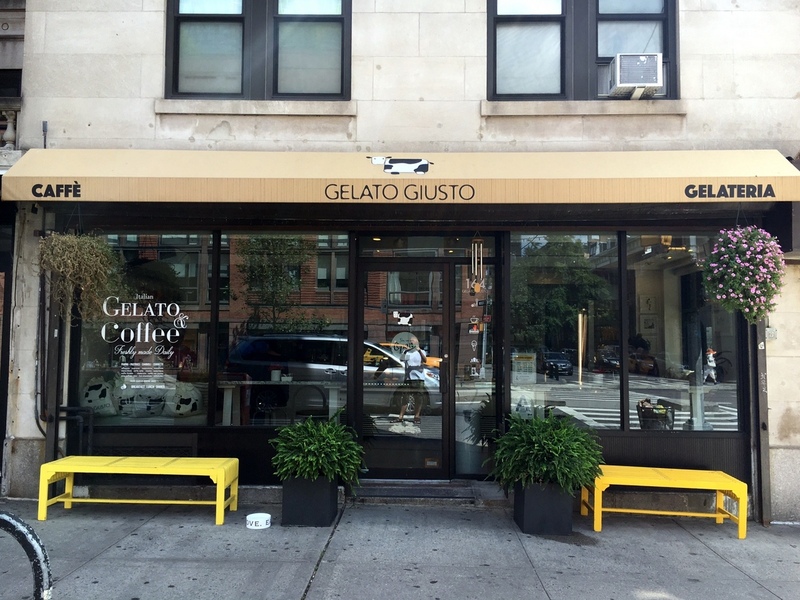 This place is slowly turning me, a glato lover, into a sorbet junky, but the gelato cant be overlooked. What is also hard to overlook is how inviting the place is. Is it chic, modern, comfortable, and very appealing to the eye. A place that makes you feel good as soon as you walk in on a hot day, where everyone knows your name the second time around. A place that every neighborhood needs, but sadly the vast majority dont have. In fat I cant think of any other gelato shop like it.